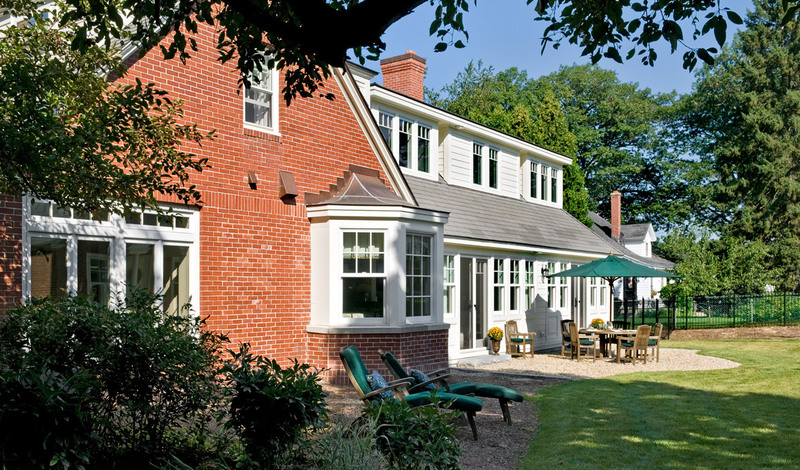 This family-friendly addition to an elegant Manchester, New Hampshire adapted the home to the needs of a young family while preserving the elegance of the stately brick colonial revival residence. Built in 1926 as a wedding present from a wealthy lawyer to his daughter, it was sold by her estate after she passed away. 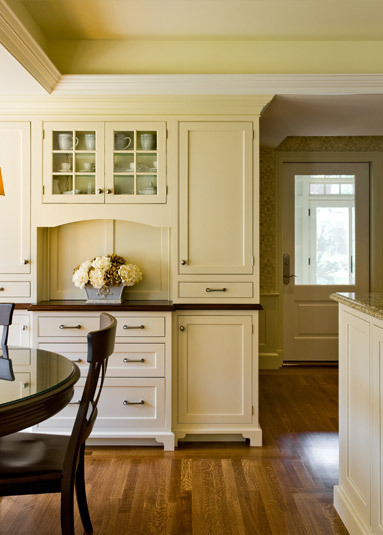 The young couple that purchased the home lived in it for seven years and gradually realized that it needed to be updated to accommodate their family’s lifestyle. 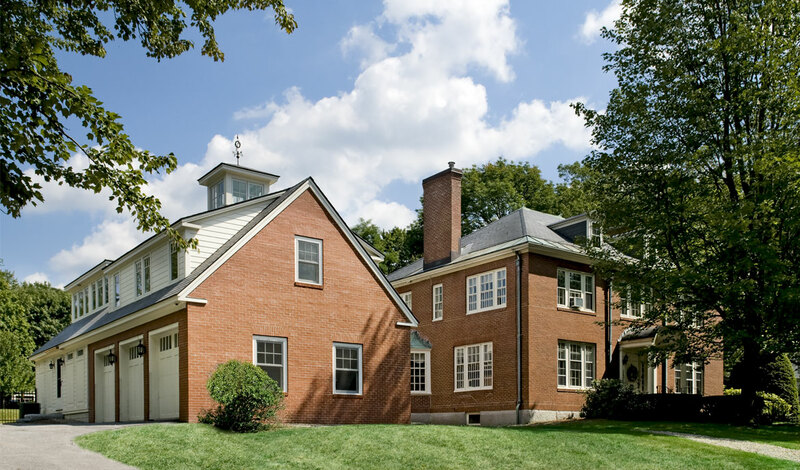 They and their four young children were committed to staying in their neighborhood with parks and schools within walking distance and wanted to add space while maintaining the elegance of the original structure. The architect designed an addition that created “active” spaces for the family without damaging the more formal ” quiet” parts of the home. 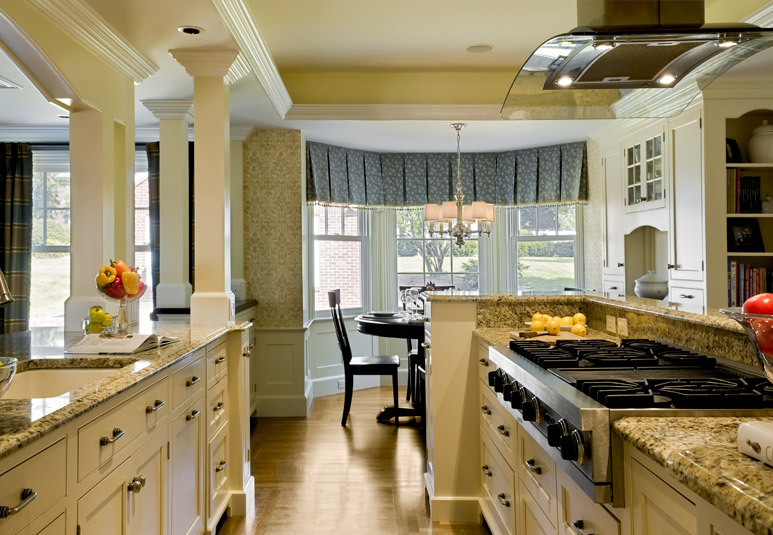 The original kitchen had been separated from formal living spaces and in the new two story addition, the renovated kitchen overlooks a family room that connects to a children’s playroom and office. From the kitchen, the parents now have a clear view of the family room and playroom beyond as well as clear views to backyard play areas. 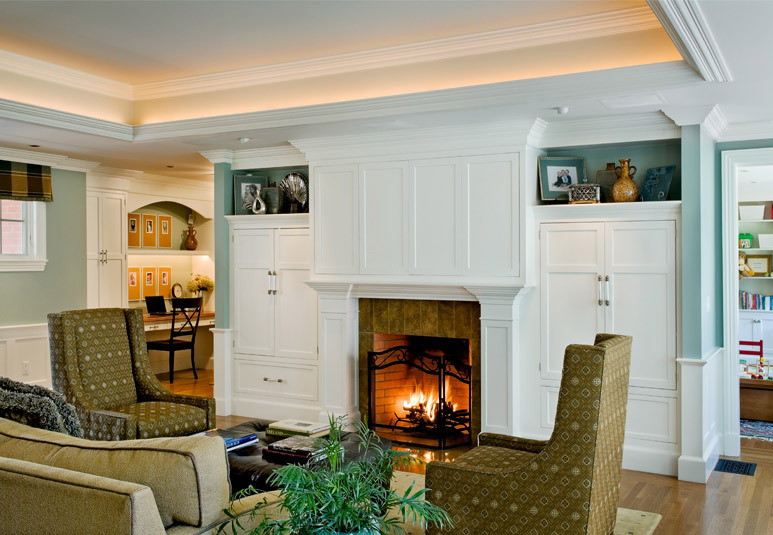 The second floor space that they gained as a result of the addition became a luxurious master bedroom and bath suite with an adjoining exercise room and provides a welcome retreat for the parents. 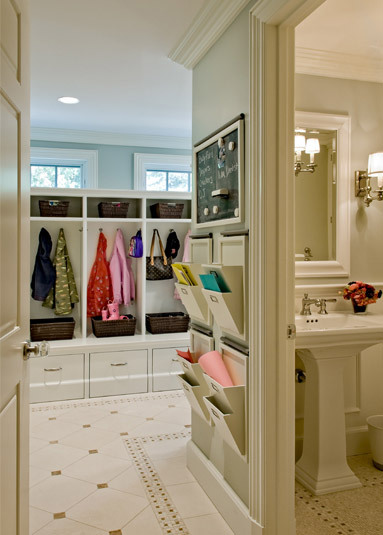 The entire home is a marvel of organization from the entry mudroom with its thoughtfully designed cubbies to an upstairs laundry room with sorting bins for each child.